Since the solo trip to Yangon in 2014, I knew I will be back one day. When I talk to other travellers in the hostel, most shared with me their trips to Bagan/Inle Lake. Back then, travelling to places like Bagan & Mandalay is not cheap. Domestic flight could cost up to 100-200USD. Alternatively, one can travel to Bagan by bus or train but it is going to take up a day. So when i saw silkair flies in to Mandalay from Singapore, I was stoked. While we were looking for accommodation in Mandalay, I told H we could stay in a hostel with private room! Just like the one we met in 30th corner Hostel in Yangon! Unfortunately, there is no similar hostel like the one we stayed. We had a few options and ended up choosing The Home Hotel(S$45/night) & Bagan King (S$80/night) in Mandalay. 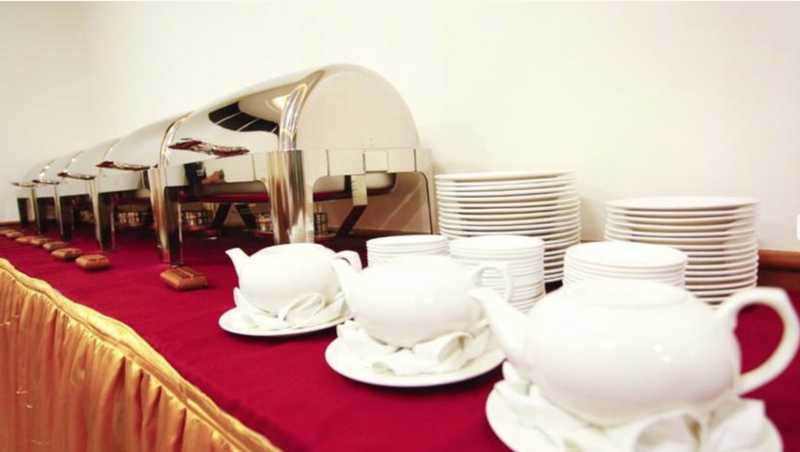 50 minutes away from the airport, The Home Hotel is located on 82th street and between 32th-33th street. Upon arrival, we were greeted by the friendly receptionist and had welcome drinks. Unlike other reviews we read, we were lucky to have the elevator during our stay. Currently, the hotel is undergoing reconstruction. The room was large and clean. Although the interior design could be improved on, we thought it was not much of a problem for the price we paid. Personally, I prefer a medium firm mattress compare to the soft-medium firm mattress they had. 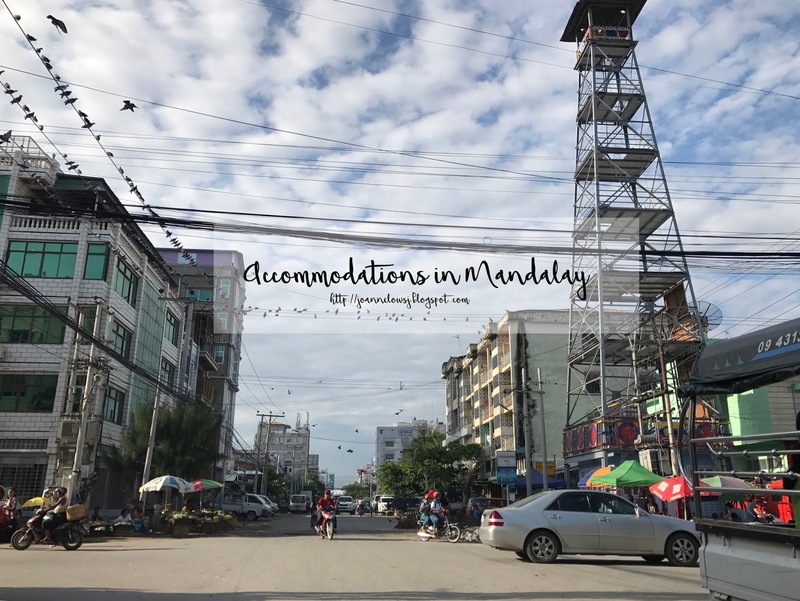 Getting around in Mandalay without a private car is not easy. We tried to hail taxi from the street but couldn’t find one. The hotel provide one way drop off at Mandalay Hill for 6000k (which they outsourced to local taxi). We felt that it was expensive and had bad experience.The driver went to pick up his friend and drop him while we were on board. The taxi we board was old, without air-condition and the other passenger were smoking. For day trips, the hotel provides driver for hire. Initially, we wanted to hire a driver from the hotel to bring us around the next day but the short 10 minutes drive of experience we had was enough. Plus we were lucky to meet another driver that day. Taxi to airport takes around 50 minutes and cost 13,000 kyat. Breakfast was average and had limited choice. Fortunately, they serves cereal so my breakfast was fixed. The Asian breakfast includes porridge and pickles where the european breakfast was mainly cereal, bread, croissant and ham. 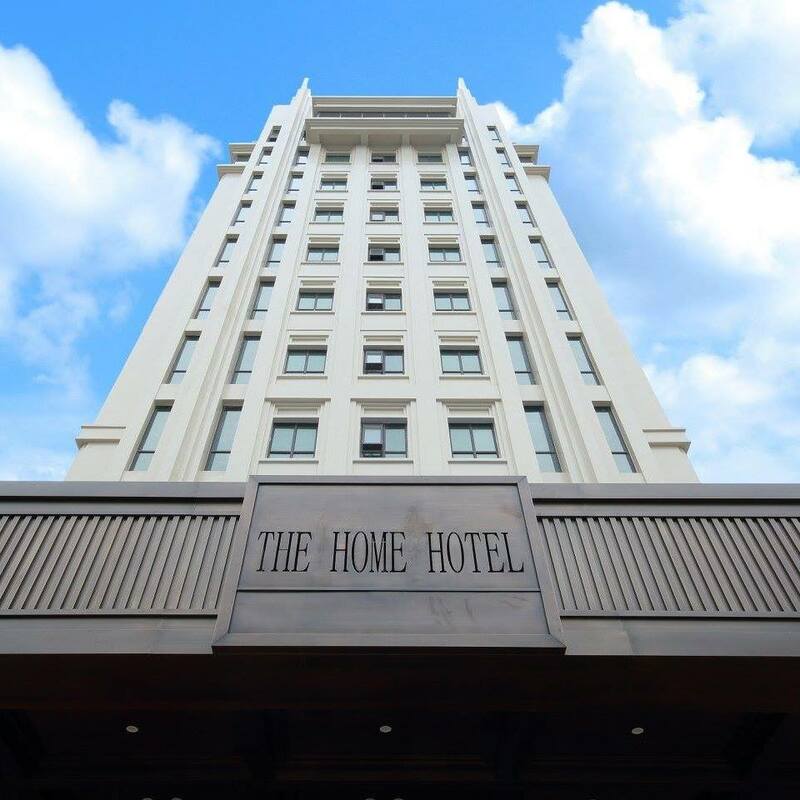 We stayed at The home hotel for 2 night and thought it was a good stay except for the location. 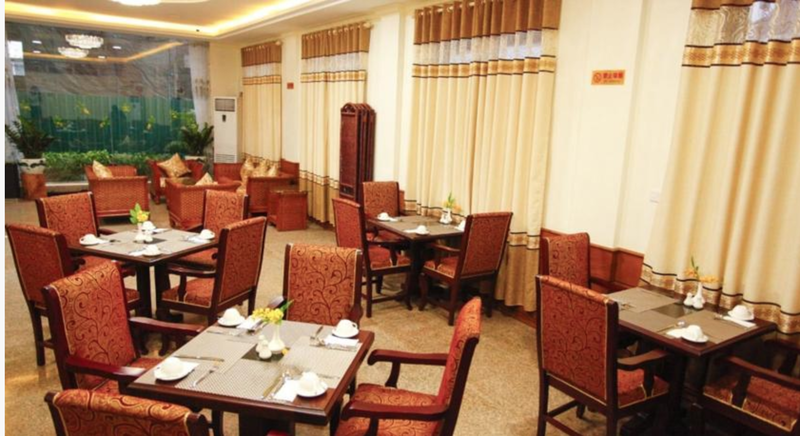 If you are planning to stay out most of the time, staying in The Home Hotel is a good choice. Afterour visit to Bagan,We return to Mandalay on our last day to catch the flight back to Singapore. 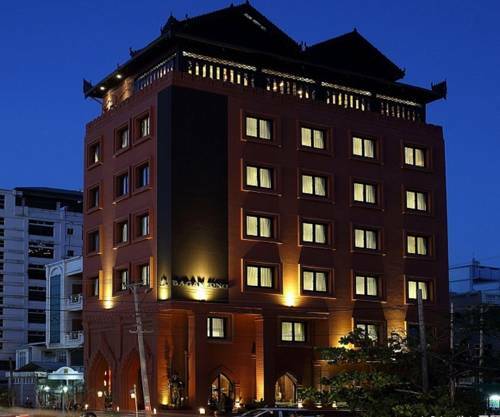 Located in the middle of the town, Bagan King is near to attraction and many restaurants. 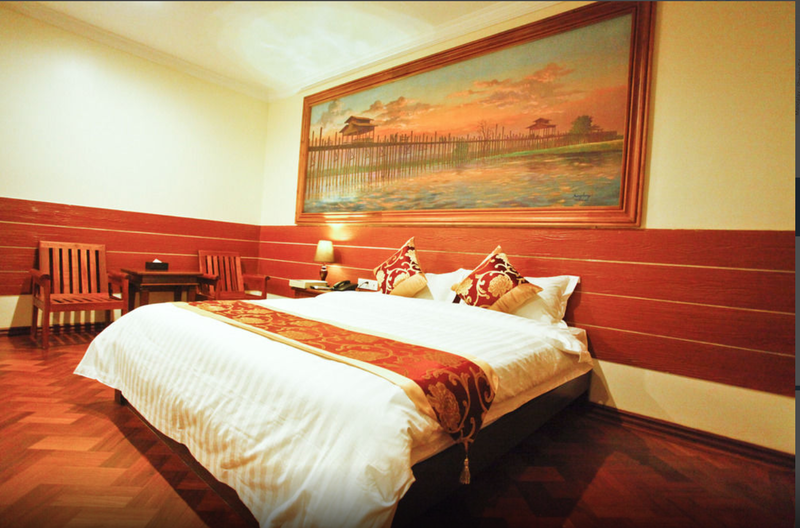 Unlike The Home Hotel, the room in Bagan King was small but cozy. The room is designed with wooden furnishing and flooring. 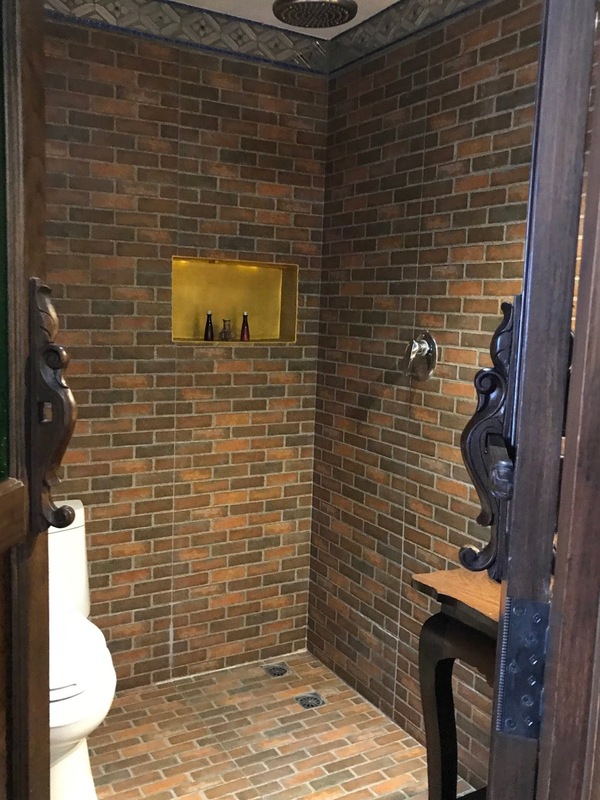 Plus, the toilet had a brickwork wall and floor tiles, making the overall composition of the room unique. Bed mattress was firm and comfortable. Breakfast was spent at the top floor of the hotel.The hotel had a decent range of breakfast buffet. As usual, I had cereal and some croissant while H makes his own sandwich from the buffet counter. Also, the hotel offers free cocktail at the bar in the evening. We could see Mandalay hill from the top floor. Although the view from the bar was not amazing, H & I had a good time chilling. We were exhausted from the trip and glad that the free drink came at a right time. Getting around from the hotel was easy because there were free bicycle rental (Subject to availability and booking is required). As it was our last day, we didn’t cycle to main attractions but we thought it was a feasible. Taxi to airport takes around 50 minutes and cost 13,000 kyat. Overall, we enjoyed our stay in Bagan King more than The Home Hotel. If budget is not an issue, Bagan King is definitely the one to go. Hope this helps!